Learning about animals has been an integral feature of education. 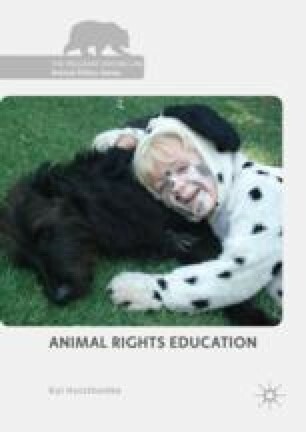 Voluntarily or involuntarily, directly or indirectly, animals contribute to education, which means that humans have been the prime beneficiaries of studying animals, in terms of learning about animal anatomy and behaviour. But human–animal relations have the potential of being educationally significant in other ways, too, in that interactions can be mutually beneficial. Pedagogical and educational encounters between humans and animals also have the potential of benefiting animals. Human beings can learn to interact and engage with other animals in morally defensible ways, to appreciate their abilities and respect their needs and interests, to coexist with them in a caring, non-invasive fashion.